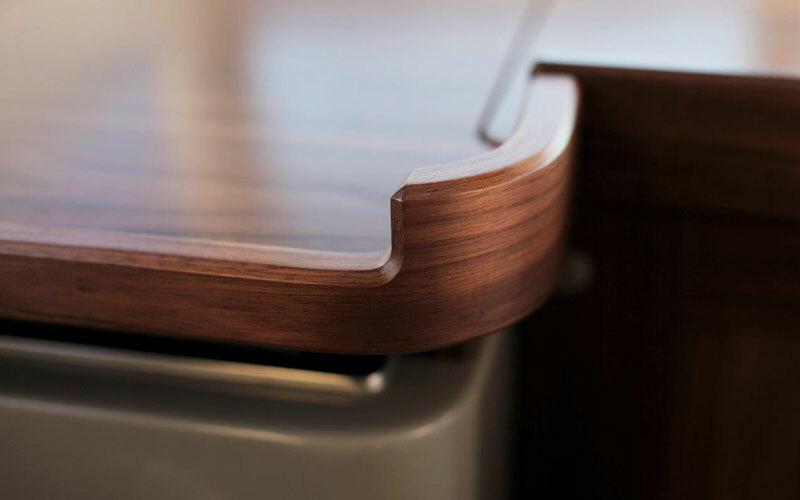 Compact, fast and manageable. 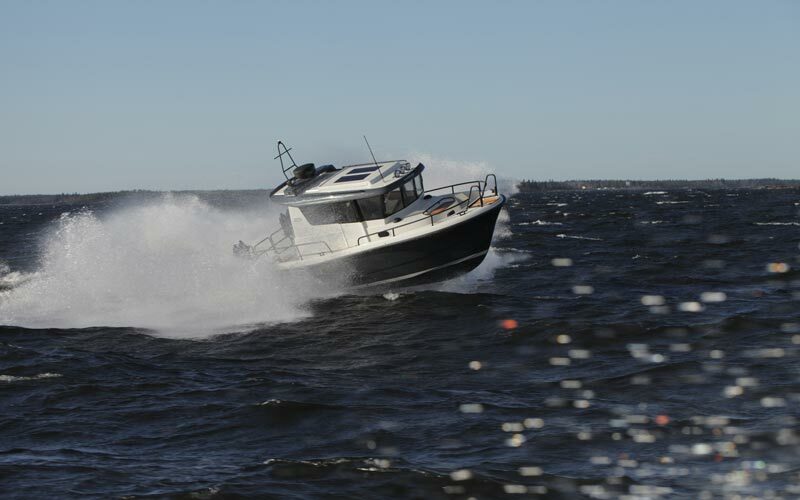 Such a seductive sports boat. 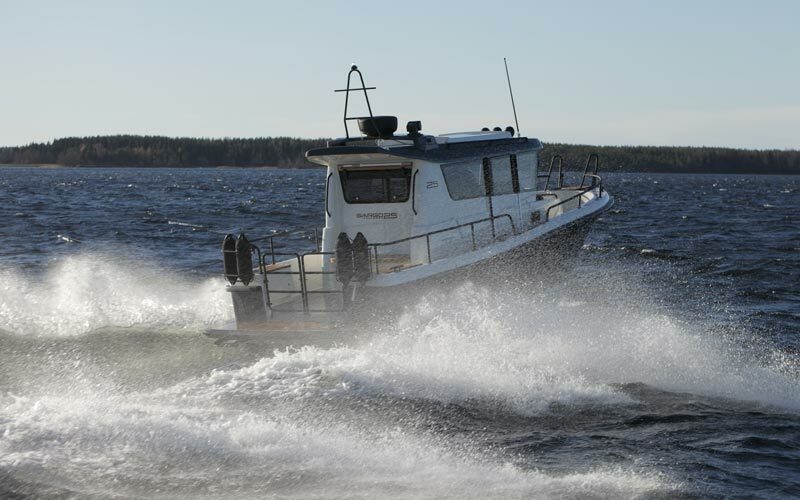 Sargo 25 Explorer is our smallest model, exemplifying the compactness of a true sports utility vessel. In many respects she resembles the larger family members. 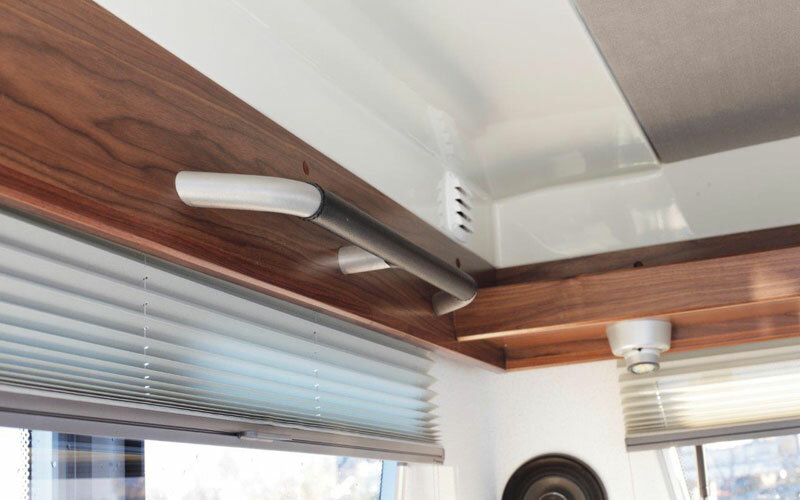 For example, the wide walkaround layout features the same non-skid single-level deck, now painted in dirt-resistant grey. 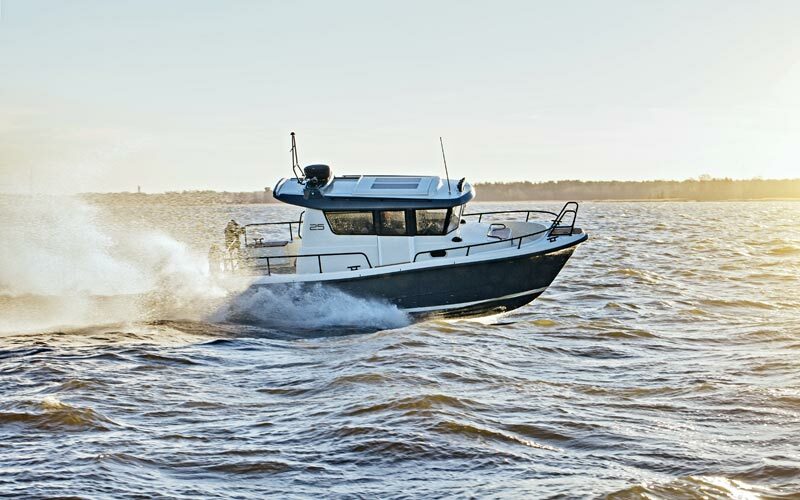 Our 25-footer’s cockpit cabin can seat up to six adults. 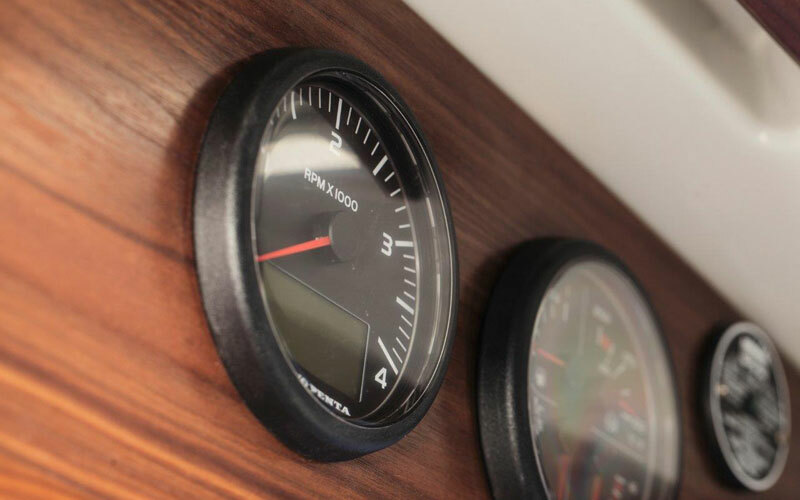 The sporty set of instrumentation and gauges have a stylish black finish. 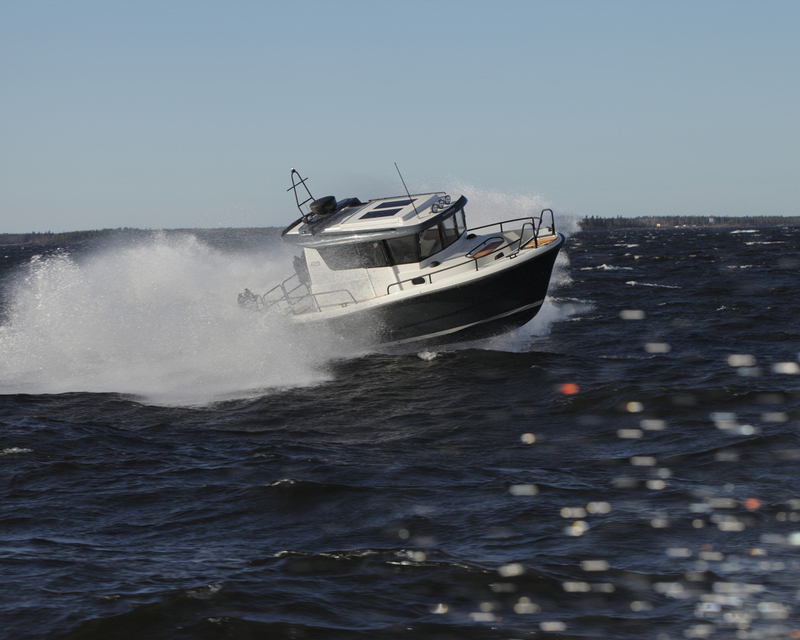 The solidly built Sargo 25 Explorer not only excels in fuel economy, but it is widely known for the amazingly quiet ride with stability in turns along with with efficient soundproofing against engine noise. 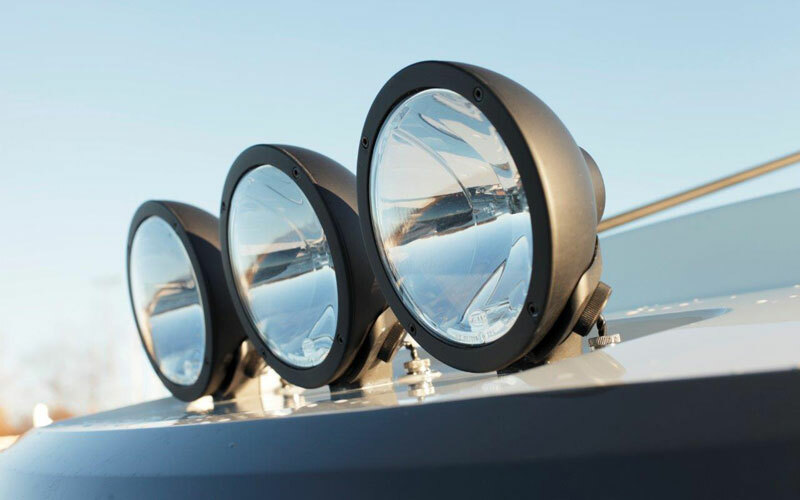 Loading of larger objects onboard the rear deck is made easy due to the double stern rail gates. 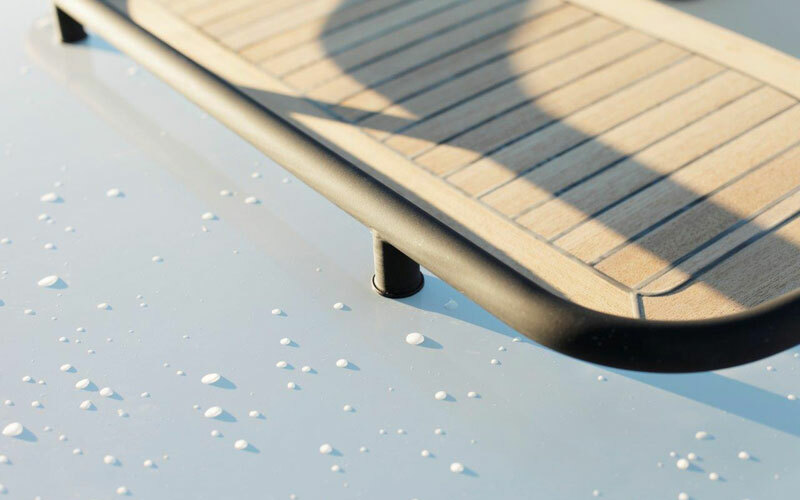 The big sliding cabin hatch is easy to use when you want more sunshine. 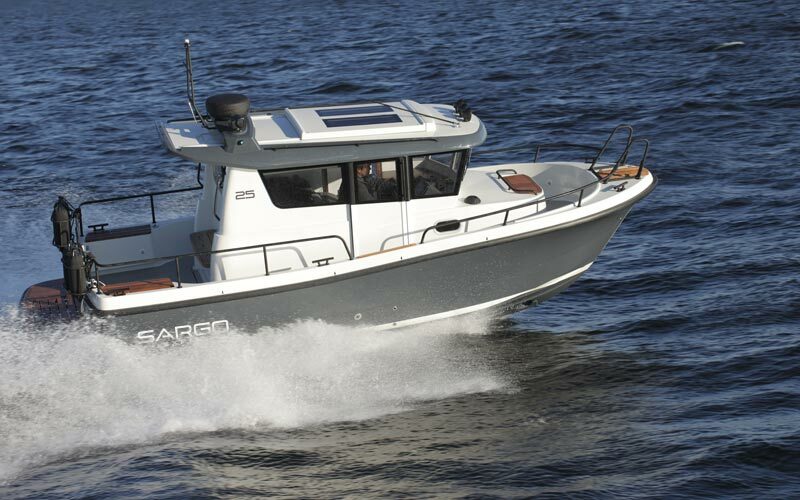 Sargo 25 Explorer is compact enough to be fully manageable solo. 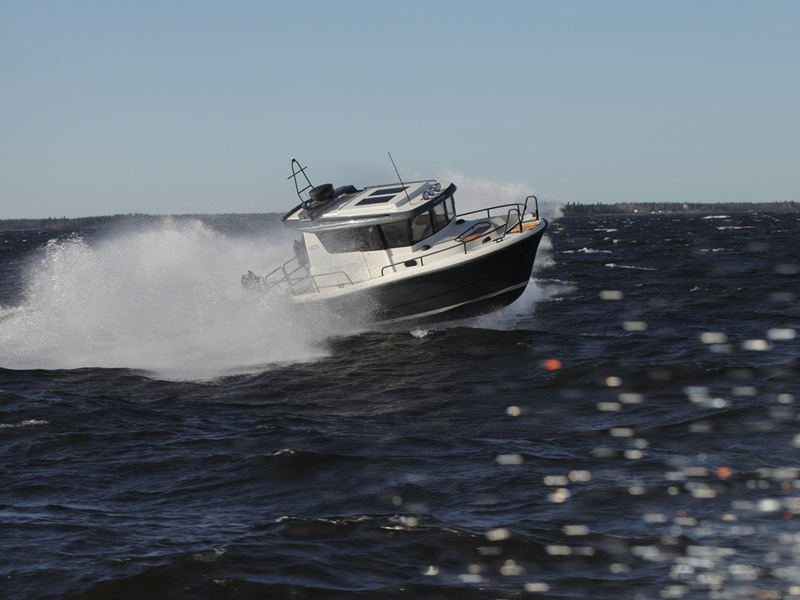 -See Sargo 25 for boat tests.